Remove the CKP sensor cover (A). Remove the CKP sensor (B). 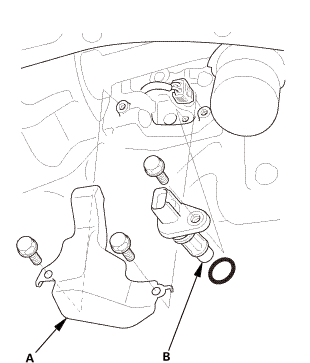 Install the CKP sensor (A) with a new O-ring (B). 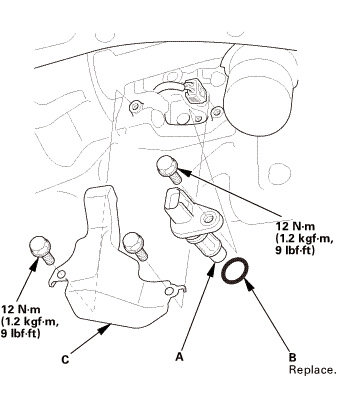 Install the CKP sensor cover (C).